discussion - Stack Apps updated site theme is ready for testing! 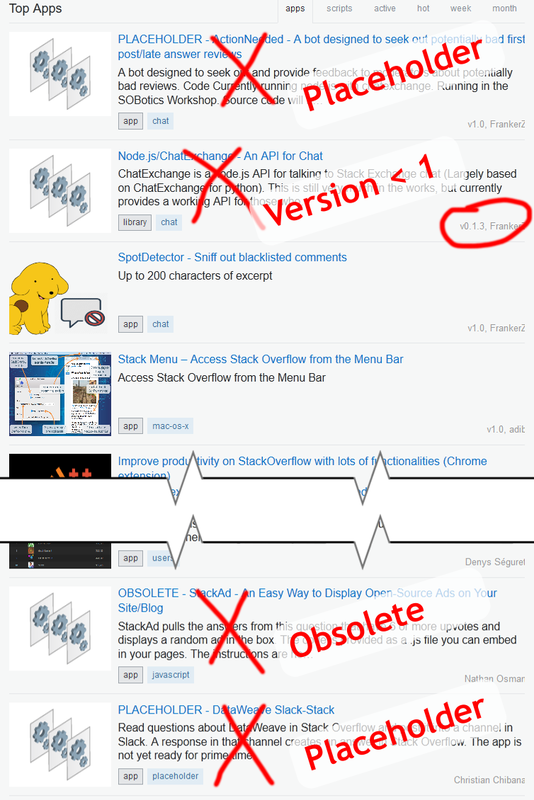 The Stack Apps home pages are not giving new users the best impression. Several obsolete, placeholder, beta, and low-scoring apps and scripts are placed prominently there. This is closely related to this feature-request, but I propose more possible workarounds here. The post must have a score of, say, 2 or more. The post must not be tagged obsolete or placeholder. 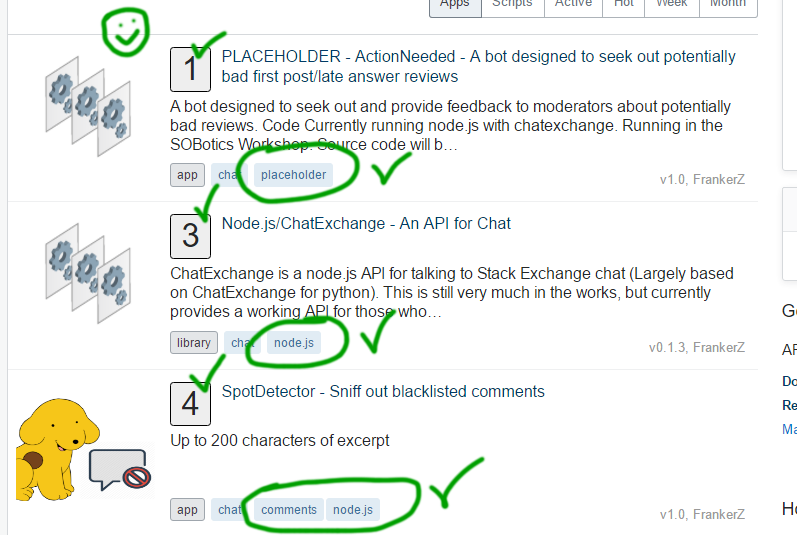 If the post has <!-- version: --> metadata, then the version must be 1.0 or greater. Priority is given to posts that have a valid <!-- thumbnail: --> image. 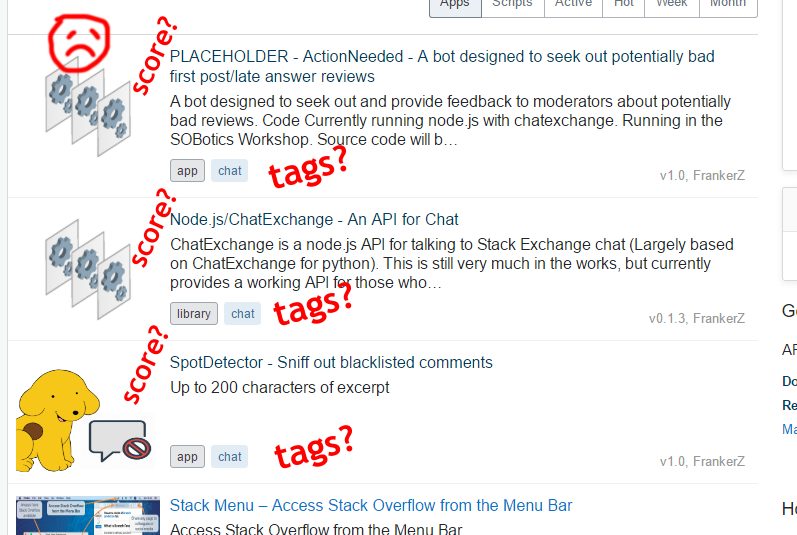 Can we get the home page to show all the tags for a post. Not the answer you're looking for? Browse other questions tagged discussion featured meta design .